MDC Partners, the group whose PR firms include Allison+Partners, Albion and Kwittken, is buying Forsman & Bodenfors, the Swedish independent creative agency that triumped in the PR Lions. F&B was founded in 1986, has around 300 staff in its Gothenburg office and boasts a client roster including Volvo Cars, Ikea and The Co-operative. MDC, which also owns Crispin Porter & Bogusky and 72andSunny, will acquire the independent agency subject to regulatory approval. F&B is expected to form a partnership with CP&B Scandinavia, although both agencies will remain as separate brands. 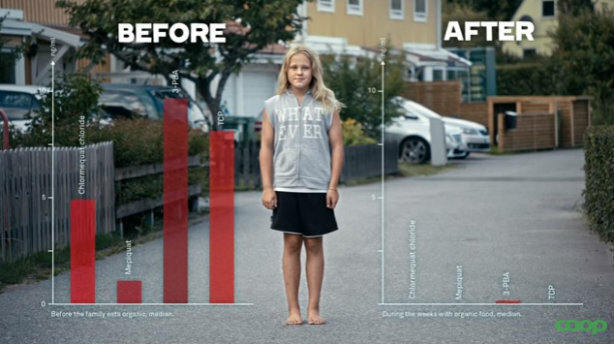 Last week F&B won the Grand Prix at the Cannes PR Lions for a health-conscious campaign (above) for the Coop in Sweden. 'The Organic Effect' focuses on the benefits to a family’s health when they switch to an organic diet, but was criticised by some as unscientific both before and after its win.